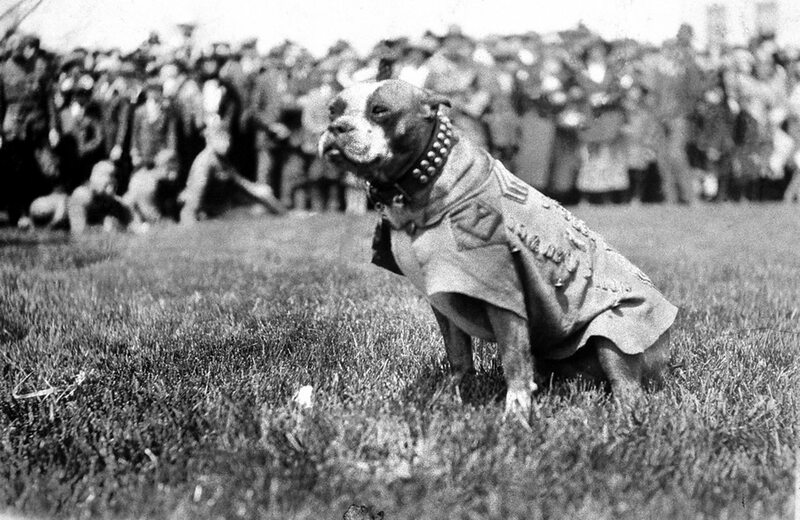 Sergeant Stubby was a dog who helped soldiers fighting in World War One. Stubby went on to become a very brave soldier who won lots of medals before reaching the age of two. Watch this animation for a short summary of Sergeant Stubby's life. How did Stubby join the military? 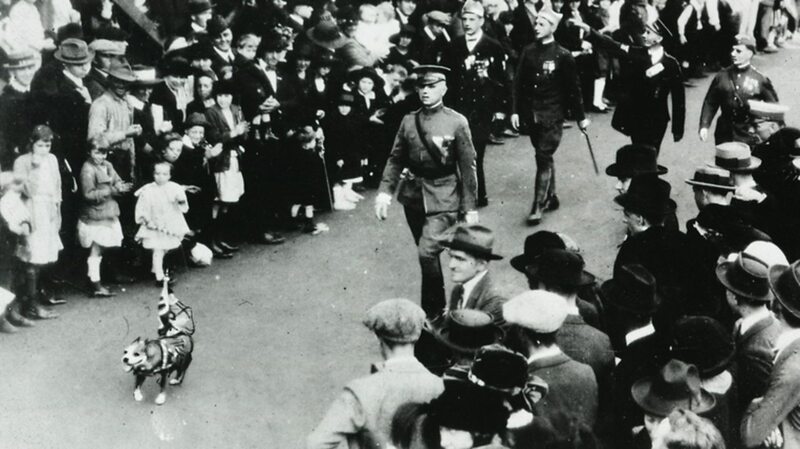 Stubby was found wandering across an army training session in Connecticut (in the United States of America) in 1917. 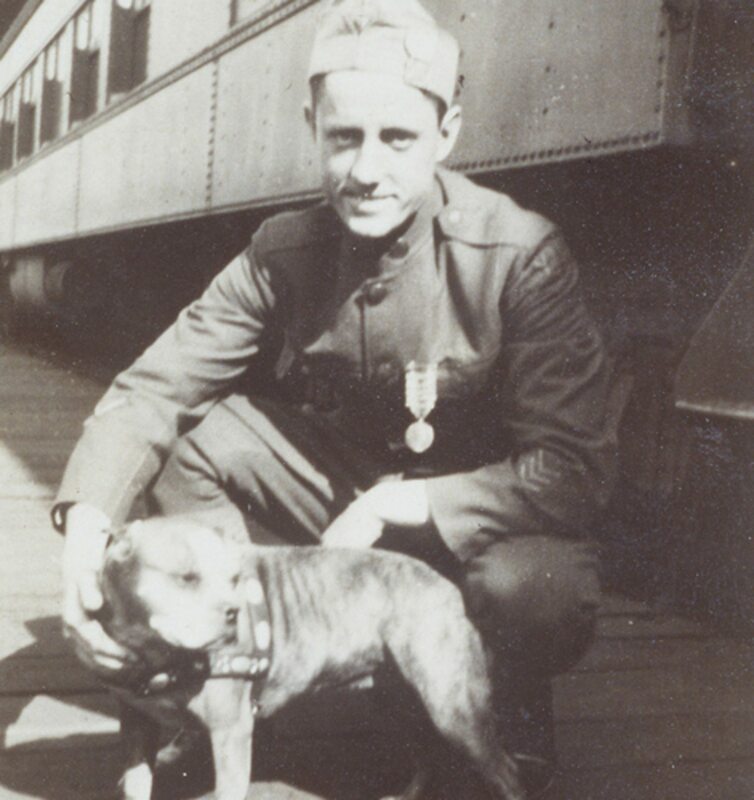 One soldier, Corporal Robert Conroy, took a liking to him and decided to call him Stubby because of his short tail. When Conroy had to go and fight, he did not want to leave Stubby behind, so he smuggled him on to the ship to France with him. What did Stubby do during the war? 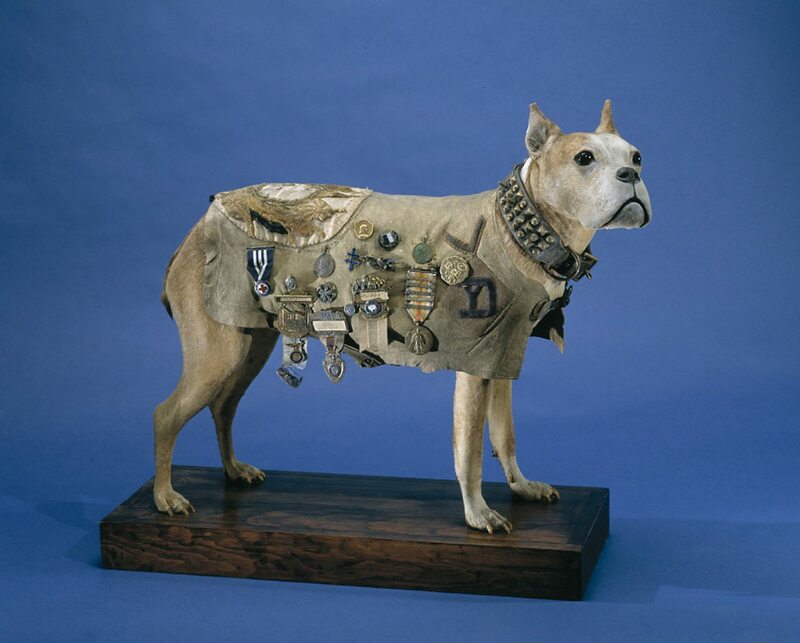 Sergeant Stubby took part in many battles, including the Battle of Marne and the Battle of Chateau-Thierry. Stubby had great hearing and he knew when the enemy was coming, even from far away. He took on the role of a mercy dog, where he found and comforted dying and injured soldiers in battle. Dogs have a greater sense of smell than humans, so Stubby was able to detect the dangerous smell of gas before any of the human soldiers could. Stubby however did get injured whilst helping the soldiers. He once got caught in a gas attack, and he also got hit by shrapnel from a grenade. Shrapnel are little fragments that are thrown out after an explosion. How did we honour Stubby? Stubby's bravery and courage touched a lot of people, and many wanted to pay tribute to him for all of his hard work. Stubby went to lots of marches and enjoyed the praise and attention he got from people all across the United States of America. Stubby made numerous appearances at theatrical variety shows in America after the war, as seen in the poster above, which shows how well loved Stubby was to the public. 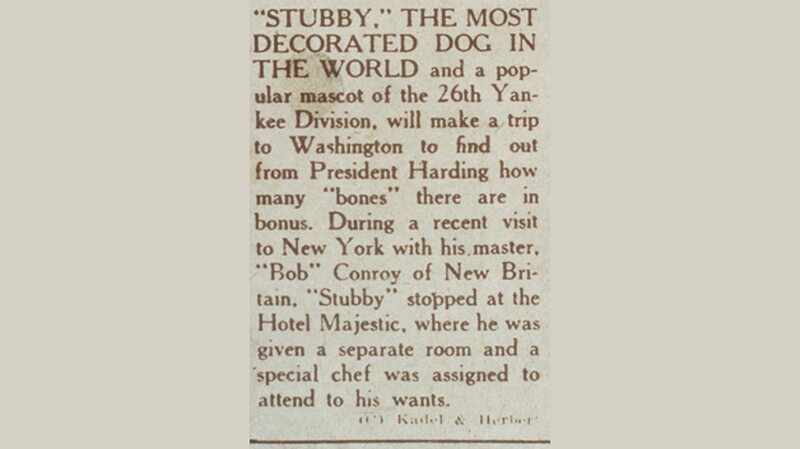 As seen in the newspaper report, Stubby actually made two appearances to the White House, where he met two US Presidents: President Harding and President Coolidge. 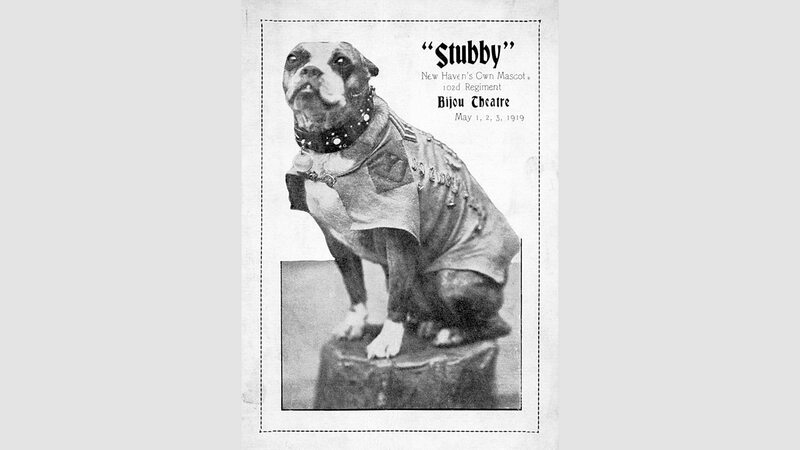 It is hard to think of Stubby without him wearing his infamous jacket. The jacket had many medals fixed on it, including the Purple Heart, the Republic of France Grande War medal and the Medal of Verdun. 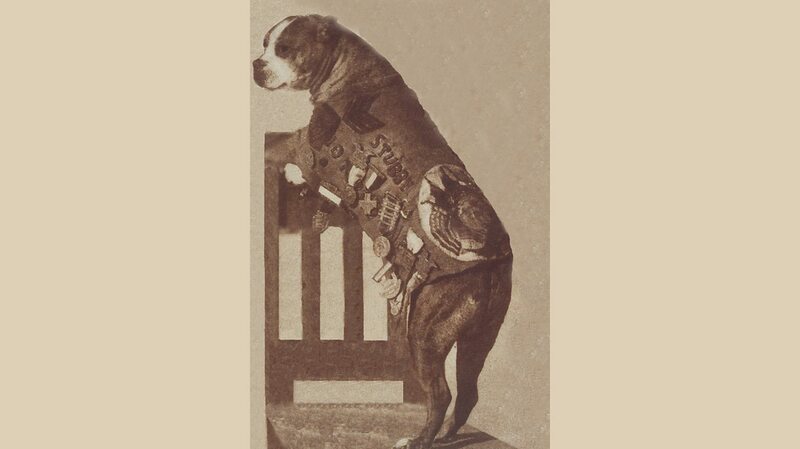 Sergeant Stubby passed away in 1926, when he was about 10 years old. Stubby gained so much popularity during his life that the New York Times newspaper wrote an article celebrating his life. It said that he did not get scared, even when his fellow soldiers did. It also said Stubby's greatest skill was giving ''comfort and cheerfulness'' because he helped so many soldiers through such a difficult time. This model is displayed at the Smithsonian National Museum of American History. Are you an expert on this World War One canine? Find out in our quiz! 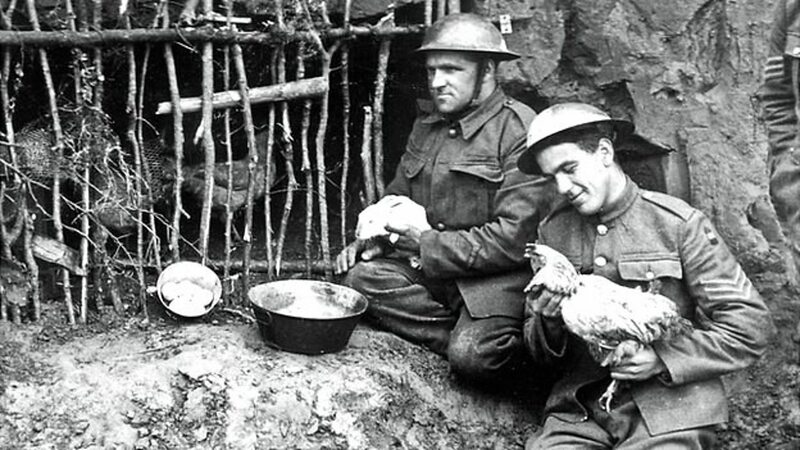 How did animals help in World War One? 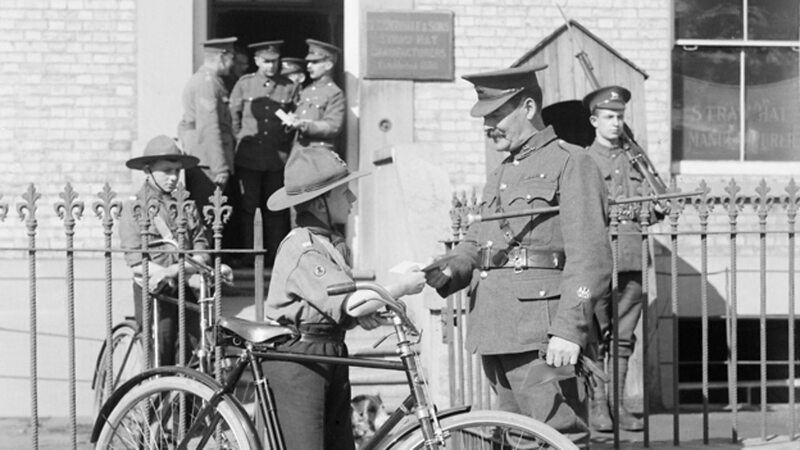 How did children help in World War One? 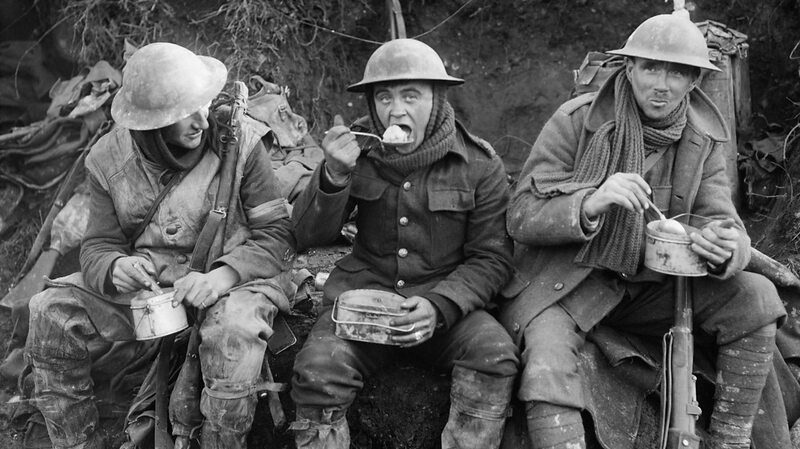 What was life like in a World War One trench? Find out more about the start of the war, how it is remembered today and how it changed people's lives for ever.